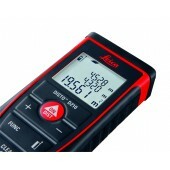 The compact and handy entry-level model has many interesting functions and is still simple to use. Addition and subtraction, area and volume calculations for rapid and reliable site measurement. The last 10 results are stored. 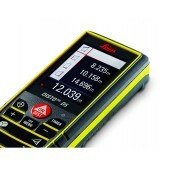 Leica DISTO™ D210 – leave the measuring tape behind. The new Leica DISTO™ X310 is the only laser distance meter to be dust-tight and protected against water jets – to IP65. In addition, it passes drop tests of up to 2 m height. Thanks to the integrated tilt sensor, it can take indirect distance and height measurements absolutely precisely. 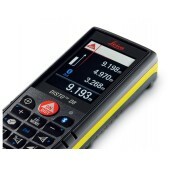 Leica DISTO™ X310 – guarantees reliable measurements, even under the harshest conditions. 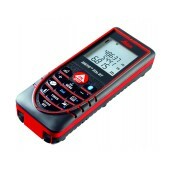 World First: First laser distance meter with digital Pointfinder (4x zoom), large 2.4“ color display and ± 45°tilt sensor is now available! 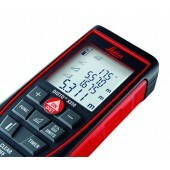 The Leica DISTO™ D5 is designed with many functions and features to make measuring easier, particularly when you are working outdoors. 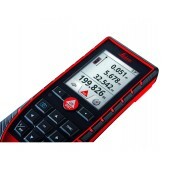 NEW: The new Leica DISTO™ D510 stands for easy and effortless outdoor distance measurement. The unique combination of digital Pointfinder and 360° tilt sensor allows measurements which are not possible with conventional distance meters. In addition, with Bluetooth® Smart and attractive free apps, you are prepared for the future.